For the past two days I’ve been living in Pittsburgh, Pennsylvania, during the tumultuous years of the 1820’s. 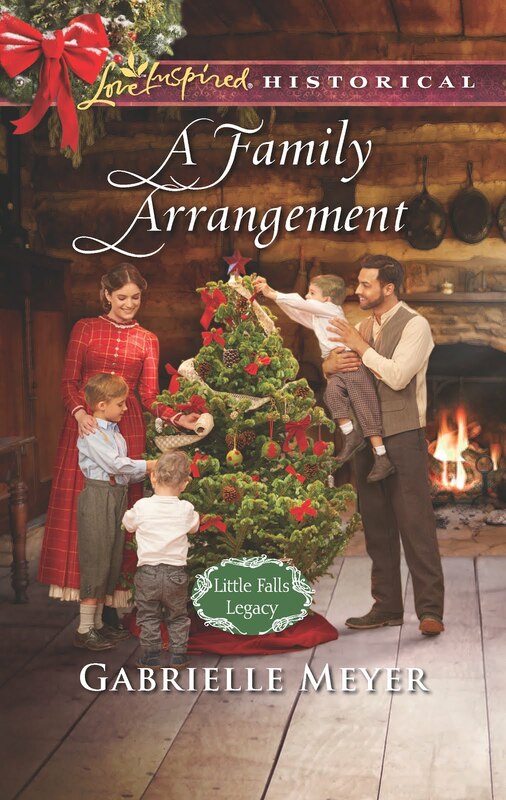 I’ve been a silent guest in the majestic rooms of New Hope, where Ellie Ballantyne resides with her three older siblings and her two doting parents, Silas and Eden. I watched, anxiously, as Ellie came home from finishing school to discover her family in a perilous endeavor. As Ellie’s journey unfolds, I was invited to River Hill, the once grand, now rundown and almost forgotten home inherited by Gentleman Jack Turlock. Jack is the son of a notorious Whiskey maker and slave holder—his family known for their ruthless activities. But a near death experience has left Jack to face his past…and question his future. I silently witnessed Ellie being reacquainted with Gentleman Jack, the boy who taunted her as a child, but the man who ignites her desire as an adult. 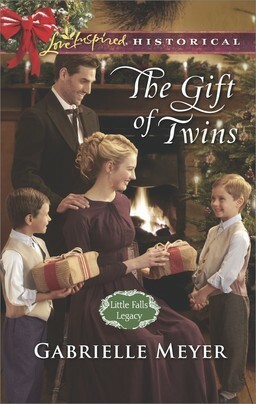 Ellie is a Ballantyne, and Jack a Turlock, their families bitter enemies even before they were born. Despite their very different lives, I stood by breathlessly in the dusty halls of River Hill as Ellie and Jack fell in love. I devoured Love’s Awakening in two sittings. Laura Frantz is a brilliant writer, her stories crafted with a masterful pen. I was amazed at the breadth and depth of the emotions I felt while reading this story. It isn’t often that I have to stop and hug a book to my chest, just to allow my emotions to calm down, but such was the case with this book! I literally found myself holding my breath during pivotal scenes. I had to restrain myself from yelling at one character as he came between Ellie and Jack during a delicious scene in a moonlit garden. I was enraptured and I simply could not stop reading until I reached the end. The characters became real, their hopes and dreams palpable, and their struggles unbearable. I savored every word. Your Turn: Have you read Love's Awakening? Have you read any of Laura's other books? Are you just as smitten as me? 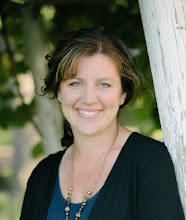 Author Jody Hedlund ~ And a Six Author Giveaway! Today I'm welcoming Jody Hedlund, author of the new release, Rebellious Heart. Jody is the first of six authors I will host on my blog every Wednesday for the next six weeks. At the bottom of this post I'll tell you how you can win a fun gift basket from these six authors! Gabrielle: Welcome to my blog, Jody. I'm so happy to have you as a guest today. I don't know if you know this, but you were one of the first bloggers I came across when I started to pursue publication. I saw you on a Bethany House Book Banter and found your blog soon after. I quickly read all of your books and have been a huge fan ever since. Thank you for the invaluable knowledge you share on your blog and the beautiful way you craft you novels! Both make me a better writer. For readers who might be "meeting" you here for the first time, can you give us a quick history lesson on your publication journey? Jody: Like many writers, I’ve been writing since my childhood days. I always loved telling stories. However, as I began my college years, I quickly realized that creative writing wasn’t a career track that would help pay the bills. For a time, God moved me into social work. While I was working all those years, I was still writing and submitting manuscripts. I took a seven year break after my twins were born. Then when my youngest was a baby, I finally started writing again. 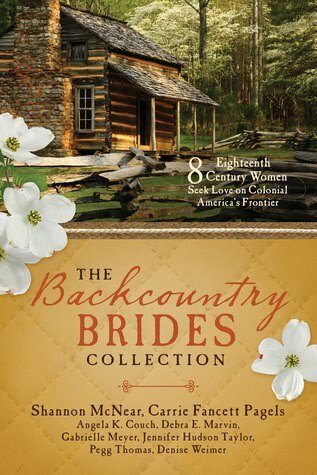 The first book I wrote after my hiatus was The Preacher's Bride. During the time that I began querying The Preacher’s Bride, Rachelle Gardner was a fairly new agent (I think she’d been an agent about a year). When my query came in, she liked my story and sample chapter and subsequently requested to see the full manuscript. Like most unknown writers, my manuscript went into the TBR slush pile where it languished. However, while waiting for her to get to it, I didn’t sit around idly twirling my thumbs. I worked hard during those months and went on to write another book. After two manuscripts finaled in ACFW’s Genesis contest (one of them The Preacher’s Bride), I re-contacted Rachelle to let her know. She pulled my manuscript to the top of her slush pile, read it, and offered me representation within a couple of days. She went on to land me a three-book contract within a few month’s time. Gabrielle: The Preacher's Bride was the first book I read by you. I know many of your novels are inspired by real life characters (I personally think those are the best kind!). Rebellious Heart is modeled after John and Abigail Adams' story. 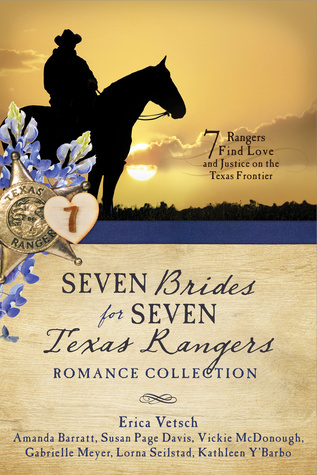 Did you always know you wanted to write historical romances and tell these stories? Jody: I've always loved history. And I've always loved reading historical romances. But it wasn't until I began homeschooling my children and teaching them history that my imagination turned on and I began to see story possibilities in everything we were reading and learning. During the course of our history lessons, I began to learn a lot about some of the great heroes of the faith. I was particularly fascinated by the wives of these great heroes, especially those who were long forgotten by our modern world, women who had stood by their husband’s sides during dangerous times and had helped shape those men into the heroes they became. I wanted to bring these women to life for our modern generation. Gabrielle: I love that you've found a way to tell their stories. There are so many men and women who have shaped the history of our faith. One of the things I admire most about your writing is that you travel to many different time periods and settings to tell these stories. Your first novel, The Preacher's Bride, was set in England in the 1600's, and your latest release, Rebellious Heart, is set in Massachusetts in the 1760's. How long does it take you to research a new novel? When do you feel you have enough information to start writing? Jody: Yes, since I write historicals set in various places and time periods, research is an integral part of my writing process. With many of my books, I'm starting from scratch and having to collect all new research on a new time period (like I did with Rebellious Heart set during the colonial era). With those books, I usually have to spend a little more time on my research, anywhere between 6-8 weeks reading biographies, getting a feel for the time period, and digging into the meat that will comprise the plot of my book. I start writing once I have a really good feel for the setting, characters, and plot. I may not know all the details of the time period, but it's alive in my mind. Once I start writing the first draft, I have to stop from time to time to do a little more research, particularly if I switch settings within the story. But usually, if I don’t know something, I’ll highlight it and then do more research during my editing phase. Gabrielle: As you know, I also write historical romances, but besides writing we have many other things in common. We both live in the upper Midwest (you in Michigan and me in Minnesota), we both have a set of twins (although yours are teenage girls and mine are three-year-old boys) and we both homeschool our children. I love that you are a full time mom and writer, living your dream out in front of your children. Could you share with us a peek inside a typical day in the Hedlund house? And what is your best piece of advice for other moms out there who are pursuing publication? I try to squeeze in writing in the afternoons after we're done with school (when I'm not driving to an activity!) and then in the evenings after my youngest are in bed. I'm also able to carve out some writing time a couple of mornings a week when my husband is home and does the homeschooling (and my mom also comes over once a week in the morning to help). And then of course, I try to work most Saturdays when I'm not at a football game or another of my children's activities! My encouragement to moms pursuing publication is that it is possible to juggle being a mom and writer. It’s NOT easy, but it is possible! We should try to set aside a little bit of time to write every day (even if it's not at the same time every day). We may have to write in small spurts. And we can't let interruptions derail us. Even if we only write 300 words a day, it's something. Before we know it we’ll have completed the first chapter, then the first half of the book, and finally we’ll have a finished book in front of us. Gabrielle: Thank you for your advice. 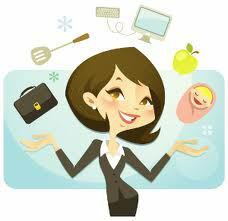 I agree, juggling all our responsibilities and dreams is not easy, but it's possible. On a lighter note, summer is quickly fading into fall, bringing with it a wealth of new activities and events. I'd love to know: What is your favorite season of the year, and why? Jody: Since I was born and lived most of my life in the Midwest, I love each season in its own time. I savor every single second of summer. But by the time it's is done, I'm ready for the glory of fall. And then when we get our first snowfall and bitterly cold weather, I'm eager for the beauty of winter. But of course, by the time spring rolls around, I'm anxious for the first glimpses of green and warmer weather. Gabrielle: Thank you for taking the time to visit with us today, Jody! Jody has graciously agreed to give away a free copy of her new release, Rebellious Heart, to one of the blog readers who comments on this post between now and Tuesday, October 1st at 11:59 p.m.
A QUESTION FOR MY BLOG READERS: What is your favorite season of the year, and why? Because she's a woman, higher learning was always closed to Susanna Smith. But her quick mind and quicker tongue never back down from a challenge. And she's determined to marry well, so she'll be able to continue her work with the less fortunate. Growing up with little to his name, poor country lawyer Benjamin Ross dreams of impacting the world for the better. 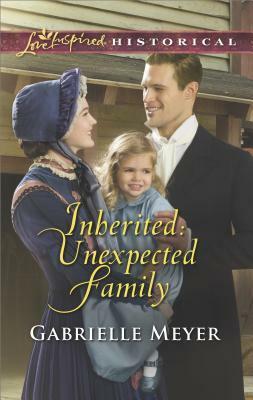 When introduced to the Smiths he's taken by Susanna's intelligence and independent spirit, but her parents refuse to see him as a suitor for their daughter. When the life of a runaway indentured servant is threatened, Susanna is forced to choose between justice and mercy, and Ben becomes her unlikely advisor. But drawing closer to this man of principle and intellect lands her in a dangerous, secret world of rebellion and revolution against everything she once held dear. 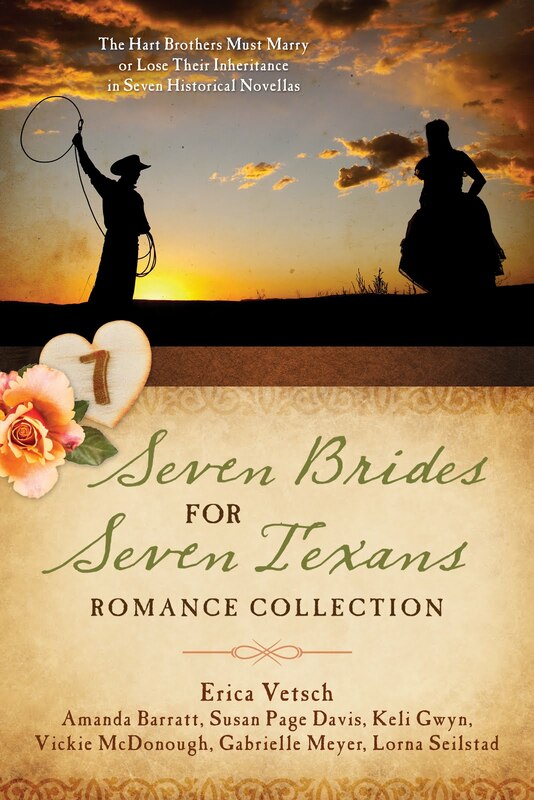 Jody Hedlund is an award-winning and bestselling author of inspirational historical romances. As a busy mama-writer, she has the wonderful privilege of teaching her crew of 5 children at home. In between grading math papers and giving spelling tests, she occasionally does a load of laundry and washes dishes. When she's not busy being a mama, you can find her in front of her laptop working on another of her page-turning stories. She loves reading almost as much as she loves writing, especially when it also involves chocolate and coffee. Six Authors, One Grand Prize! Over the next six weeks I will be hosting six authors on my blog. Each author has agreed to offer a free copy of their newest release, as well as an item for a grand prize drawing at the end of the six weeks! To be entered to win a free copy of each book, all you need to do is visit my blog weekly and comment on each author's post. A random winner will be chosen each week. To be entered to win the grand prize, visit my Rafflecopter below and follow the instructions. If you do each thing listed you'll earn 45 chances to win the grand prize! Don't forget to visit here each Wednesday to earn more chances! Phew! In the past two weeks I've logged over 36 hours of drive time in my mini-van. It's been a whirlwind adventure. Just outside of Ames, Iowa. I've been to Indianapolis, Des Moines and Webster City, Iowa. I reunited with old friends, made new friends and have a whole new treasure trove of memories stored away in my heart. I met God in amazing ways and watched other people encounter God in their own lives. On Tuesday, September 10th I left my home in Minnesota and traveled five hours south to Des Moines, Iowa to meet up with Melissa Tagg and Alena Tauriainen. We spent the night at Melissa's apartment, loaded up the mini-van and then left for Indianapolis the next day. The trip to Indianapolis took us about seven and a half hours. We enjoyed catching up, listening to each others pitches, sharing funny stories, and laughing our way to the Hyatt in Indianapolis. Inside the Hyatt in Indianapolis. That night we met up with the My Book Therapy Staff and went to the Eagle's Nest Restaurant, a rotating room at the top of the Hyatt, where we shared the highs and lows of our year. It was a humbling experience to hear the amazing things God is doing through the ministry of Reba Hoffman and her bicycle. Nest Restaurant above the Hyatt. The next day, Thursday, many writing friends began arriving at the Hyatt and I had the privilege of helping with the registration table for the conference. It was there that I met my agent, Mary Keeley, in person for the first time! I also met new friends and reconnected with old ones. My funny roommates: Jessica Patch, Cynthia Herron and Lindsay Harrel. After that, the conference went by in a wonderful blur! Friday night was the genre dinner where I dressed up in a mid-1910's gown. It was fun to see others get into the spirit of the dinner. Here is Anne Love dressed in her 1890's attire! I spent my time attending workshops and seminars, pitching my story to editors and visiting with fellow writers. On Saturday night I went to the My Book Therapy Pizza Party where I was a finalist for the Frasier Contest. I didn't win the award, but I felt like a rock star being a finalist! Here I am with the other finalists! ﻿﻿﻿﻿﻿﻿﻿﻿The Pizza Party was a lot of fun. The highlight was watching a spoof on the Wizard of Oz, where Lindsay Harrel sang her heart out. is dressed as Dorothy in the blue. After the Pizza Party I went back to the Eagle's Nest and had tea and dessert with my lovely agent, Mary. We had the opportunity to visit and get to know one another better. We talked about my writing and she encouraged me in wonderful ways. I feel blessed beyond compare by her work on my behalf. It was a much different experience attending a conference with an agent on my side. I'm excited to work with her and I can't wait to see where we go from here. I also attended the Books & Such Literary Agency breakfast on Sunday morning. This was an amazing event for me. I felt honored to be sitting among the authors represented by my agency. It was fun to meet many authors I've dreamed of meeting my whole life. It was humbling to be included. Sunday, September 15th marked a very special milestone for my friend Melissa Tagg. Her debut novel, Made to Last, released! I'm so thankful we were there to celebrate with her. Alena, Lindsay and I had release day buttons made to spread the good news. Here we are showing off our buttons. I cheered with friends who had successes and I cried with friends who were disappointed. I laughed at funny stories, empathized with those who are struggling, and took a few moments to sit quietly and marvel at this journey God has called me on. Who am I that He would use me? Susan May Warren and I in our 50's inspired dresses. The conference ended with the Gala Awards dinner on Sunday night where author Frank Peretti was given the lifetime achievement award. This event was a wonderful time to take all those last minute pictures with friends and to celebrate the work God is doing through Christian Fiction. One of my favorite mentors, Beth Vogt. I walked away from the conference sleep-deprived and elated! I am encouraged and equipped for this next leg of my journey. I feel really good about where I'm at and I look forward to where I'm going. It's the best place to be. Your Turn: If you were at the ACFW Conference, what was your highlight? I've missed being on my blog and visiting with my readers. If you weren't at the conference, I'd love to know what you've been doing these past two weeks. On Wednesday I'm hosting author Jody Hedlund on my blog. I'll be sharing information about a fun giveaway for the month of October. You won't want to miss it! On Friday I'll share some fun pictures from Melissa Tagg's Made to Last Launch Party in Webster City, Iowa! It's been a couple of weeks since I last posted. The longest break I've taken from my blog since I started it in February of 2012. I needed a break...still do. I've been juggling numerous balls these past few weeks and I had to drop one of them--and blogging it was. The two heaviest balls I'm juggling right now are planning for the ACFW Conference in Indianapolis this week and starting our family homeschool. Planning for the conference involves more than just preparing one-sheets, practicing my pitch and packing my bags. Over the past week I've been doing laundry, creating meal plans, shopping, coordinating schedules for four children, one dad and a grandma, cleaning the house...and cleaning some more. I don't want to forget anything! I've also been polishing my manuscript, ordering business cards (and reordering business cards...long story), putting together outfits, editing my one-sheets, and making flower pins (see my blog post about being memorable here). I'm looking forward to so many things at the conference this year. I will be meeting my agent, Mary Keeley, in person for the first time. I am a finalist in the My Book Therapy Frasier Contest. My friend, Melissa Tagg, will be celebrating her first book release while we're there (her book Made to Last releases September 15th). Seeing old friends and meeting new. Attending amazing workshops. Meeting (and pitching to) editors. And fellowshipping with other like-minded writers and Christians. What could be better? Homeschooling is the other ball I'm juggling right now. I was homeschooled as a child and it has always been my hope and prayer that we could homeschool our children. We've decided to start with just our oldest this year. She entered the third grade and she was excited to start. Our second daughter (first grade) has stayed in the private school we've had the girls in for the past few years. We plan to eventually start homeschooling her, as well--but we're going to take it a year at a time. The other balls I usually juggle are also lying next to my blogging ball. I've had to decline some of my volunteer activities, postpone much needed visits with friends, and miss a few events I would have loved to attend--but I know when September passes, I'll be able to go back to my regular activities and pick up those balls again. I can't wait to meet you back here to share all my conference experiences when I return! I plan to post pictures and an overview of my conference experience when I come back. I'm sure I'll be posting pictures on Facebook while I'm there, as well. I also have a really, really exciting list of guest authors coming up in October! Six weeks. Six authors. One really great prize! I'll share more when I come home. Your Turn: Are you going to be at the ACFW Conference this year? What do you have planned for the coming week?